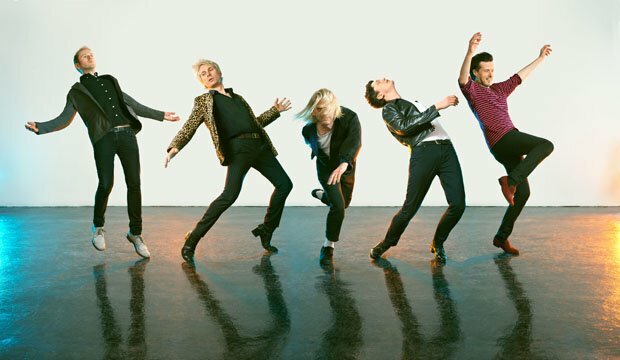 It came as no surprise to Franz Ferdinand when guitarist Nick McCarthy said he wanted to leave the band. His departure was announced in the spring of 2016, once their collaborative FFS project with Sparks was complete, and the challenge was to find a replacement member. The remaining three members knew of electronic producer Julian 'Miaoux Miaoux' Corrie's work, as his album School of Velocity was up against FFS at the Scottish Album of the Year Award in 2016, while the further recommendation of Chemikal Underground (Corrie's label) at the Lost in France film première in Dublin was taken on board. Always Ascending is out on Domino on Fri 9 Feb. Franz Ferdinand's UK tour kicks off in Manchester on Tue 13 Feb. The all-conquering, foot-stomping, guitar-jangling quintet tour new album Always Ascending.